Another autumnal salad for you! As much as I love light salads in summer, I love hearty ones in autumn too! How’s everyone’s week been so far? Only one more week till the holidays for me! ERMAGAHD I’m so excited. As much as I love school, you sometimes just need a break ya know. Hope you’re on the same wavelength. Also, holiday time means lots of videos and recipes coming your way! Wahey! A perfect warm side or main salad for the autumnal months. the juicy, red pomegranate seeds compliment the earthy roast cauliflower and the hazelnuts, as well as lemon zest to lift the whole dish. Coat the cauliflower in olive oil and salt and place in hot oven for about 15 minutes. When brown, flip them over and leave in the oven for another 15 minutes. While this is happening, open up the pomegranate and grate in lemon zest as well as squeeze in the lemon juice. Also chop us the hazelnuts and set aside. 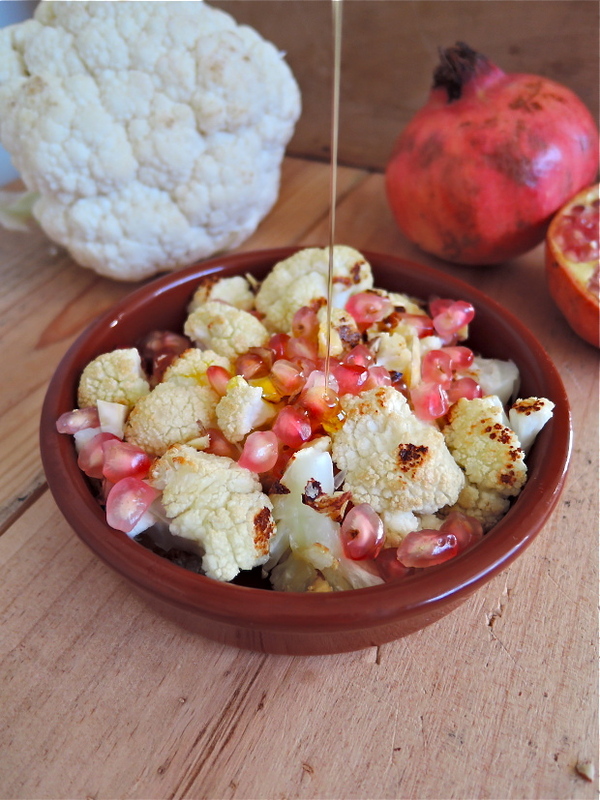 Once the cauliflower is done, combine the pomegranate and nuts and drizzle with good quality extra virgin olive oil. This combo is outstanding. Roasted cauliflower is so underrated; people are missing out! Have a very happy holiday, lady! Thanks Stephanie! I totally agree that it’s SO good but it’s so underrated!! Have a lovely day! What a creative salad! I would love to try this! I don’t know why these flavours just go so well together! It looks truly delicious!! Thank you Manu – it’s an interesting but delicious combination! 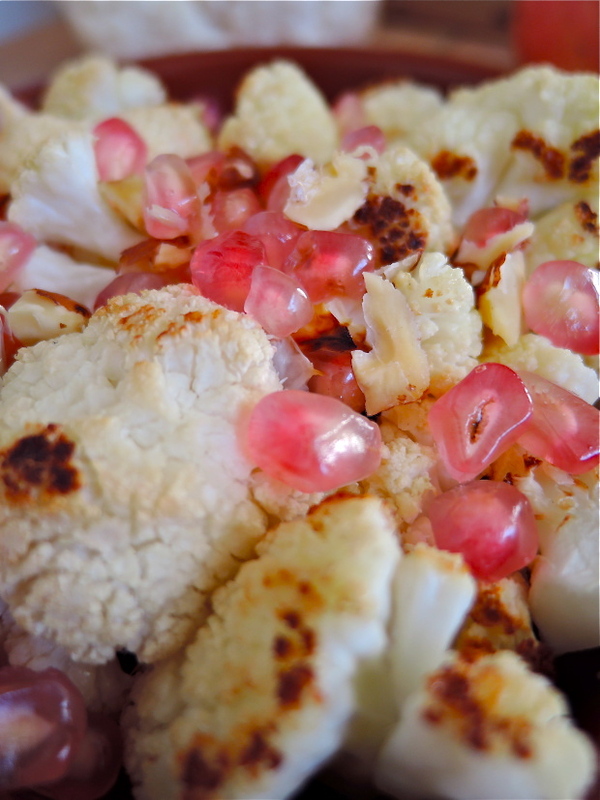 I love roasted cauliflower – and I love the unusual combination of ingredients as well! Thank you Gab! I’m sure you’ll enjoy this salad! That looks really good! Thanks for inspiration! Glad you like it Ski-Zakop! 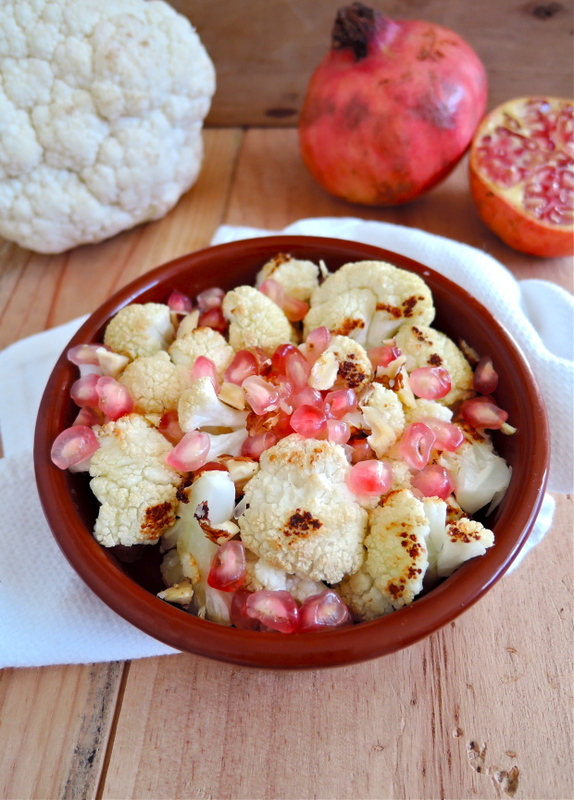 Cauliflower is my new favourite vegetable, and putting pomegranate on it is genius. I’m dreaming of how sweet and bright this tastes. Thanks Myriam! I love the combination of salty, sweet, crunchy – yum! What a great combo of fall flavors! 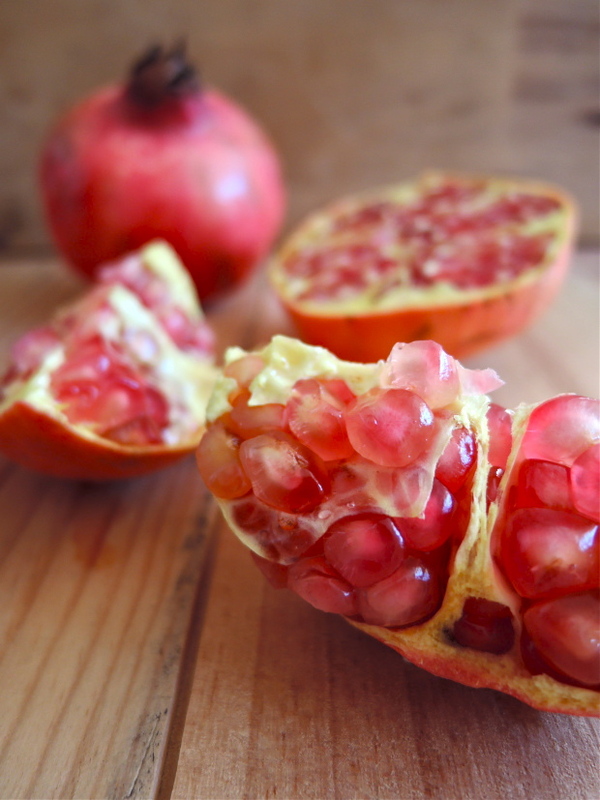 And those pomegrante seeds are so pink and pretty! Love this! Thank you – the pomegranate gives beautiful colour and sweetness to the salad! I absolutely love this combination of flavors! Wow that looks totally amazing. 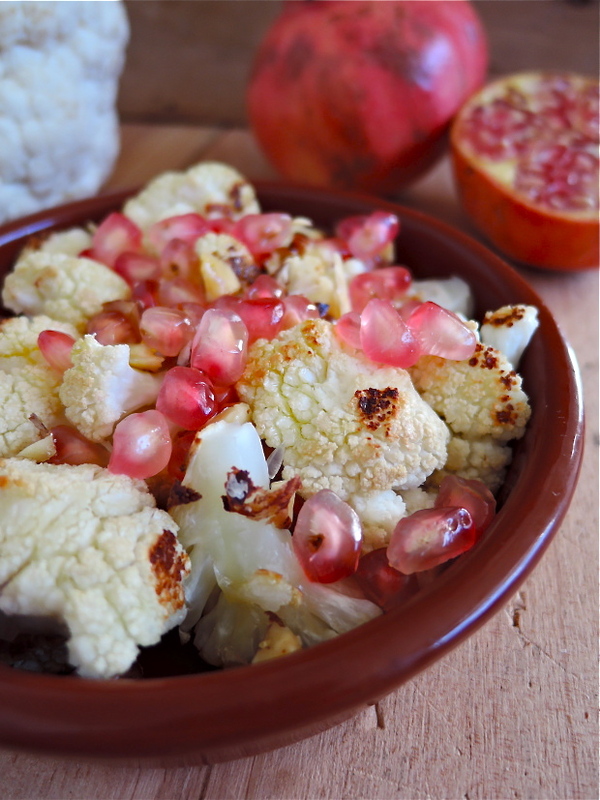 I have to admit cauliflower and pomegranate seem like such an unlikely combination, but your awesome pics (and people’s raving comments) really make me want to try it! Thanks Ayal! I hope you can try it out!